Do you have a leaking water heater? Perhaps your water heater just doesn't produce enough hot water? There are many reasons why your water heater isn't working properly. First, never call a handyman to install a water heater. Handymen are not licensed to install a water heater. 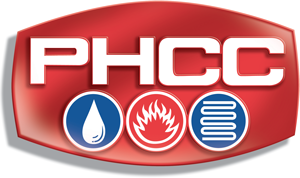 Only licensed, Nevada plumbing contractors can install water heaters. Secondly, sometimes it's not as simple as just hooking up the water heater. Some code upgrades may need to be done in order to satisfy plumbing code and for your own safety. WHAT GOES WRONG WITH WATER HEATERS? Because of the chemical reactions between the water and the tank material, which is usually steel, water heater tanks are prone to corrosion and rust buildup. Eventually the tank rusts through, causing water to leak constantly from the tank. This is a big problem! The problem with gas water heaters is that there is a burner located below the tank which heats the water. This high heat, combined with the chemistry of the very hard Las Vegas water causes corrosion and, eventually, leaking. There is no way to fix a leaking tank due to the pressure buildup inside the vessel, it would not be safe to "patch up" a water heater tank. The tank is usually recycled and a brand new water heater installed in its place. Installing a new water heater tank typically comes with a 6-year manufacturer warranty, extendable to a 10-year platinum plan through Code Red, which also gives a yearly servicing of the water heater as part of the plan. WHY ARE WATER HEATERS SUCH A BIG DEAL? WHY DO THEY COST SO MUCH? Water heaters are everchanging and constantly being upgraded to allow for better energy efficiency. The way water is heated is also under constant scrutiny and many technology firms are developing newer, more cost efficient, environmently friendly ways of providing hot water. Needless to say, a lot of engineering, research, and hard work goes into developing new water heater technology. Also, installing water heaters requires a plumbing trade license. The combination of high-costing materials with the high need for emergency service professionals to install, leads to customers having to invest more in their appliances. Don't worry though! Code Red is very competitively priced and always guarantees the installation of water heaters. WHY NOT JUST REPAIR THE WATER HEATER? Water Heater also develop problems with faulty parts and mechanisms which are usually again, an indirect result from the water and tank chemistry. Sometimes, replacing all the faulty parts can be more costly than just replacing the water heater with a brand new appliance. Sometimes, a simple repair may be warranted and get you by for a few more years. Common replaced items include thermocouples, elements in electric water heaters, anode rods, leaking fittings, t&p valves, burner assemblies, and gas control valves. Code Red replaces water heaters throughout the Las Vegas area, including: Summerlin, Alliante, Centennial Hills, Anthem, Southern Highlands, Henderson, Green Valley, and all other areas of the Las Vegas valley. Replacing your water heater is our priority, and we take water heater replacements seriously, giving our guarantee that you will have hot water when we are finished! Our flat rate prices on water heaters are a no-surprise method of giving the customer a "menu style" pricing structure. The old method of time & material is outdated and many have become frustrated by its results. It does not work for service work! WHY REPLACE YOUR WATER HEATER? First and foremost, you need hot water. Bathing, cooking, cleaning, and washing dishes all require hot water. Sometimes the importance of a water heater is overlooked until you don't have any hot water. If your water heater stops working, you will realize that hot water is very underrated! You may be overwhelmed by the many choices of companies in the Las Vegas area who perform plumbing services, including hot water heater replacement and repair. However, Code Red has a history of replacing many hot water heaters and doing so up-to-code and properly. Code Red repairs water heaters throughout Las Vegas. Sometimes you just need a quick fix and your existing water heater does not need replaced at all! Maybe you just require a thermocouple or an element replaced? Code Red will not try to sell you a new water heater if you existing one can be safely repaired. Want to say goodbye to tank water heaters forever? Then tankless water heaters are for you. Code Red installs tankless water heaters in the Las Vegas area. Tankless water heaters provide "endless" hot water to your home and are very energy efficient. Tankless water heaters operate similarly to a boiler or indirect hot water heater. There is a coil that water circulates through and that water is superheated only when there is hot water demand. This leads to energy savings and, when combined with a recirculation system, quick access to hot water. The Platinum Water Heater Replacement Plan is your ticket to ensuring a long-lasting water heater. Your water heater replacement will come with an extended warranty that guarantees the water heater tank for 10 years instead of the standard 6 years. Code Red will also service your water heater yearly to ensure that no unnecessary sediment is building up inside the tank. This should ensure the longevity of the water heater for at least 10 years. If the water heater tank starts leaking before 10 years, we will replace it for labor cost only and will continue to service your new water heater until the 10 years is up. All rights reserved, Code Red Emergency Plumbing 2015.